"Citizens United for Renewable Energies and Sustainability": C U R E S.
Urgent measures to progress away from the current fossil energy system are required to stop rapid global warming. renewable energies are the only way to give access to modern energy services to the two billion people currently excluded from them. renewable energy systems are far less prone to corruption and crises than the fossil energy system. In preparation for renewables 2004, the CURES-NGOs agreed to develop common strategies and demands for this conference and therefore drew up a declaration: "The Future is Renewable", which at that point was signed by 38 organisations. The declaration calls for avoiding dangerous climate change and for the implementation of the Millennium Development Goals. It calls on all governments not to allow themselves to be blocked any longer by obstructive governments and lists many policies and measures, such as the phasing out of subsidies for fossil and nuclear energies and effective steps and frameworks for renewable energies. International financial institutions, such as the world bank, are prompted to radically restructure their energy projects. The business sector is also called upon to come up with new programs. The declaration was sent out to almost all governments worldwide before renewables 2004, having already signed by 120 organisations. Writing the declaration was only a first step of the newly-formed CURES-network. The even bigger task was to coordinate the contributions of the international NGO-community into the preparatory process of renewables 2004. By the time the conference started on 1 June, more than 220 organisations had endorsed the declaration. The 4-day-conference in Bonn did not focus on long discussions of texts but on presentations of good-practice and the exchange of experiences. Although it wasn’t one of the celebrated UN climate conferences, many of the nearly 3000 participants compared renewables 2004 with them. Indeed it could become a milestone for a creative development in international policies, leading the way out of the UN consensus trap. However, in the run up to the conference there were some backlashes such as the European commission’s failure to set a renewables target for 2020 for the enlarged EU. Further, at the conference itself there were fierce controversies about the role of large hydro power. However the strong presence of developing countries during the conference was remarkable. Countries like China, the Philippines, Egypt and Algeria included national targets for renewable energies in the international action plan thereby showing leadership to other developing countries. Germany declared its intention to give another 500 Million Euro for renewable energy projects in developing countries. These commitments have led to Bonn renewables2004 being described as a success, even though very few governments committed to replacing fossil and nuclear energy with renewables. The Beijing International Renewable Energy Conference (BIREC 2005) ended on Nov 8 with results that were considered highly satisfactory by the participating NGOs. 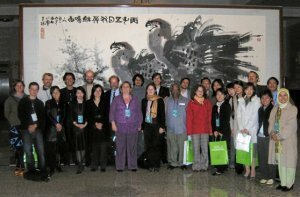 Although this follow-up conference to the Bonn Renewables 2004 was not intended to be a conference for new commitments, host country China was making significant announcements. It raised its target for wind energy capacity by 2020 from 20 GW to 30 GW.The conference sends a strong message that renewable energies are now a relevant alternative to conventional energies, also for developing and newly industrializing nations. The negotiations on the conference declaration ended with results that were cautiously welcomed by the NGOs. Please read a more detailed analysis by Steve Sawyer (Greenpeace) here. NGOs have been quite active in this international conference. 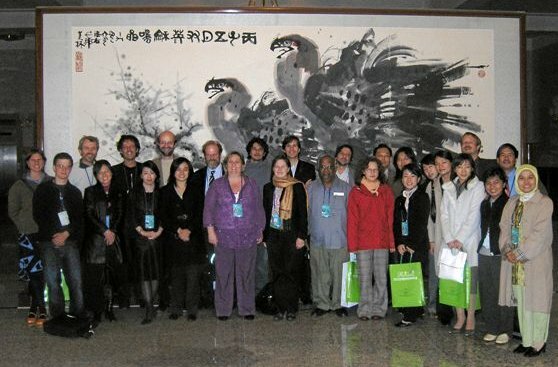 On Nov 6, an International Civil Society Workshop organized by CANGO (China) and ISEP (Japan) and supported by the Heinrich-Böll-Foundation informed 87 Chinese and international participants about the benefits of renewable energies and allowed for the exchange of experiences (programme and presentations). The workshop elaborated a Civil Society declaration . NGOs were allowed to distribute the declaration in the conference, and the organizers promised to put it on the BIREC website. NGOs also intervened several time in plenary discussions. The same day a new report Wind Force 12 in China produced by the Chinese Renewable Energy Industry Association and sponsored by Greenpeace and EWEA was released. It details wind energy potentials in China and shows that the country has the potential to become a world leader on wind energy (further information: Greenpeace, Surewind). Quite signifantly, WWF China and GTZ organised with the support of the Heinrich-Böll-Foundation on Nov 7 a Forum on South-South-Cooperation in the Great Hall of the People which was included as part of the official conference programme. Close to 100 NGO participants from over 40 countries were involved at the Renewable Solutions Conference during the international climate change negotiations of COP 11/MOP 1 (11th Meeting of the Parties to the United National Framework Convention on Climate Change/First Meeting of the Parties to the Kyoto Protocol) in Montreal in December 2005. The goal of the two-day conference was to create strategies and proposals to promote the global transition to renewable energy and to develop practical recommendations on the future of the Clean Development Mechanism (CDM) - in meeting climate change and development needs. innovative financing mechanisms and the establishment of fair and equitable renewable energy markets. These issues as well as key recommendations were discussed on the first conference day in parallel workshops and were compiled as strategic recommendations on moving forward the global transition to renewable energy. For further detail see also here . The conference's general and strong conclusion is that in order to prevent dangerous climate changes and meet Kyoto targets the maximization of renewable energy and energy efficiency to their full potential is essential. The implementation of these aims is seen in long-term predictable political and legal frameworks and has to be carried out by the issues discussed, especially by the setting of binding national targets, by adequate financing mechanisms as well as a better technology transfer and enhanced international co-operations. Subject of the second conference day was the definition of a shared vision between 175 representatives of environmental and development NGOs on the future of the CDM. The conclusions paper of this conference day draw a quite negative balance of the effects of the CDM for local sustainable energy and development as well as poverty reduction and stresses the need of developing a new and more sustainable financial mechanism. The second UNECE (The United Nations Economic Commission for Europe) Regional Implementation Meeting (RIM), took place in Geneva, 15.-16. December, in preparation of the 14th session of the UN Commission on Sustainable Development (CSD) in May 2006 in New York. The regional implementation meetings provide regional inputs for the work of the Commission which is organized in two-year implementation cycles. The actual implementation cycle focuses on energy for sustainable development, industrial development, air pollution/atmosphere and climate change. The UNECE secretariat summarized the relevant issues in a background document . The outcome of the conference you can find in the Chair's summary . The NGOs speech at UNECE RIM severe criticised the UNECE background paper for its uncritical position on nuclear energy and distinctly called for more concrete arrangements for sustainable energy production and consumption. According to the invitation of the CSD all regional commissions organized regional implementation meetings in preparation of CSD 14. You can find NGO reports of the Latin America and the Caribbean Regional Implementation Meeting as well as from the RIM of Asia and the Pacific at the e-newsletter February 2006 of unedoforum . i.e. working on the perception and representation of CURES as an independent network, to facilitate local initiatives and include their experiences when formulating strategies and common policies. i.e. exchange experiences and knowledge between all members of the network. i.e. define sustainable financing for RE, influence the follow-up process of renewables 2004, confirm the recognition that RE are only acceptable when used in a sustainable way (hydro power, biomass, etc). i.e. hold governments and international financing institutions accountable to the actions they committed to in the International Action Plan (IAP). Analyse projects on a regional basis, thereby identifying the ones that really transfer resources and are additional. Evaluate the IAP programmes on sustainability. Monitor the 2010-EU-targets. The new coordinators-team formed immediately after renewables2004 is working on implementing on these tasks. By now, CURES consists of more than 240 organisations and continues to grow. The process is still open for all NGOs worldwide to sign the CURES declaration (sign-on@forumue.de) and to take part in the discussion of how to increase the role of renewable energies worldwide.